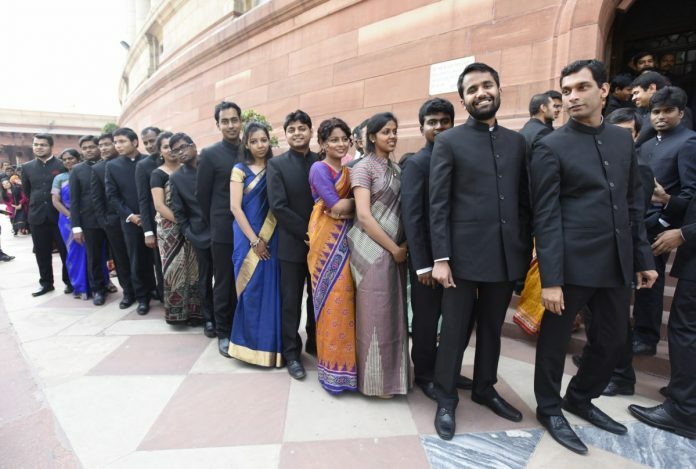 The candidates who applied for the Narendra Modi government’s lateral entry scheme for IAS and other civil services will have to send in fresh applications because the original advertisement was reportedly poorly drafted and understated the eligibility criteria, reports Sanya Dhingra. No less than a festival in terms of scale, the Ambani marriage, hot on the heels of the Deepveer and Nickyanka nuptial galas, has put the big fat Indian wedding back in the domain of scrutiny and debate, write Nandita Singh and Mahua Venkatesh. Yogi Adityanath is Modi-Shah’s Frankenstein’s monster who can divide but not deliver. He may also wreck Modi’s immediate political future, writes Shekhar Gupta. At Military Literature Festival, former Indian Army chief General Ved Prakash Malik (Retd) discussed factors he thought were holding Make in India back, reports Amrita Nayak Dutta. In first-ever policy meant to boost job prospect, the government also wants campus placements to be mandatory for all technical institutes, reports Kritika Sharma. Nineteen educational institutions, including one backed by former RBI governor Raghuram Rajan, are in the running for the Institute of Eminence (IoE) tag, reports Kritika Sharma. In 2014, Narendra Modi sold young Indians hope. Four years later, the youth is as angry and confused as the Modi government, writes Shekhar Gupta.